Olivier specialises in corporate law, with a focus on mergers and acquisitions involving listed companies and corporate governance. He joined Allen & Overy in October 2011 after graduating from Utrecht University and Durham University (UK). His recent experience includes advising on a number of leading transactions such as SHV on its public offer for Nutreco, TNT Express on the public offer by FedEx, and Ahold on its cross-border legal merger with Delhaize. 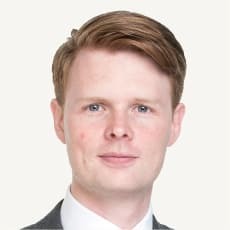 In addition, Olivier gained experience in the Employment Law practice group, advising on remuneration and co-determination matters, as well as an in-house lawyer during his secondment to the Dutch employment law team of Royal Dutch Shell in The Hague.